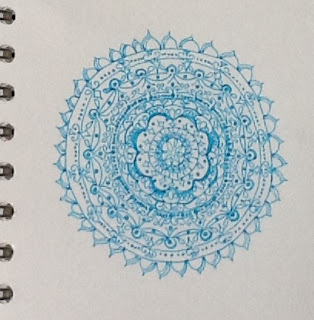 For the six months from July to December 2015 I challenged myself to draw a Mandala every day. And I just about did it. As the year closed my interest was heightened and I began drawing different shapes and swirls on the page and creating different designs for my own and other's pleasure. I even created a couple of Christmas presents and cards for friends and family. 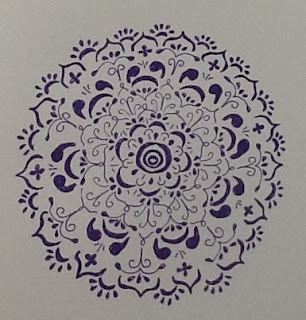 When I began I used a small, 5" square sketch pad with a selection of eight fine-tip pens. 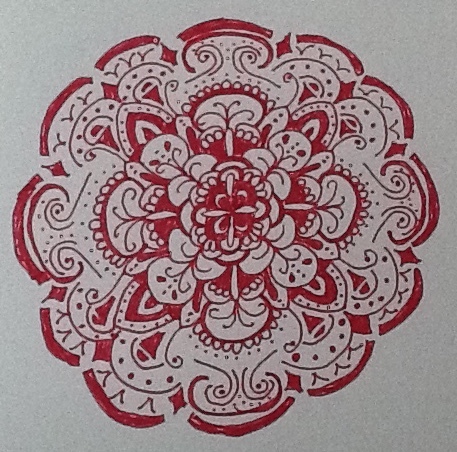 I usually restricted myself to one colour a day, so I wouldn't be distracted by continually changing colour. 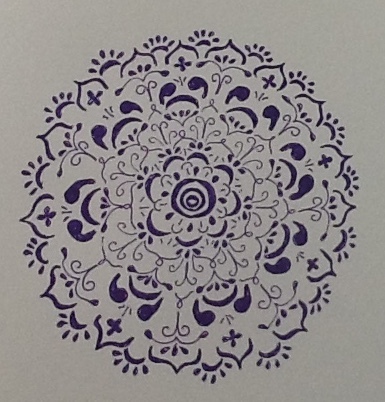 My intention was to find a focus on the page and use this practice as a meditation ritual. I very much wanted to learn about myself and my patience from creating without guidelines and a range of materials. As you can see some of my mandalas became very intricate. I surprised myself a lot and as the weeks and months went by I found the process easier each day, my confidence grew and I enjoyed the process more and more.